KirstyMJones | Insomniacs Have More Fun. Like they knew they could control her, contain her, like they knew they had her caged in. Rule number one: Don’t feed the animals. Let me begin by telling you revenge isn’t easy. It’s painful and cruel, it gets under your skin and crawls until you let it out, and then it takes too much of you. Piece by piece until it consumes you, until you can’t even remember who you were before it took a hold of you. ‘Before you embark on a journey of revenge, dig two graves.’ I did. I dug two graves, I dug Ezra’s. She was weak and scared, she couldn’t handle it. My name is Verity Westminster. I’ve done things Ezra only dreamt about. Things she didn’t have the guts to do, probably a lot of thing I shouldn’t have done, but I don’t regret it. I just wish I’d taken the reins sooner. Maybe then she wouldn’t have dug a hole for you too. She was burning everything she touched, couldn’t you see that? She fell apart and I had to pick up the pieces. This is not her story, it’s not Eloise’s either. It’s mine. I did what I did because I had to. You can believe me if you like, or don’t. You don’t exactly know all the facts yet. You’re in for one hell of a ride. Just remember, I’m a liar. -Call Me Verity- Coming 2013! Ezra North was your ordinary seventeen year old girl. A girl who’s step-father just happened to witness a murder. A girl who’s family life has been a complete lie. Her step-father, even her mother had kept the truth from her and now she’s been pushed into a whirlwind and unravelling fast. Thrown into the Witness Protection Program that doesn’t go as smoothly as was promised, the game changes. But the aftermath that followed was Armstrong Beckket’s first mistake. Verity Westminster is out for blood. There is nothing ordinary about Ezra North. Once upon a time lived a girl whose step-father witnessed a murder, but this is no fairytale. Call Me Verity coming 2013! 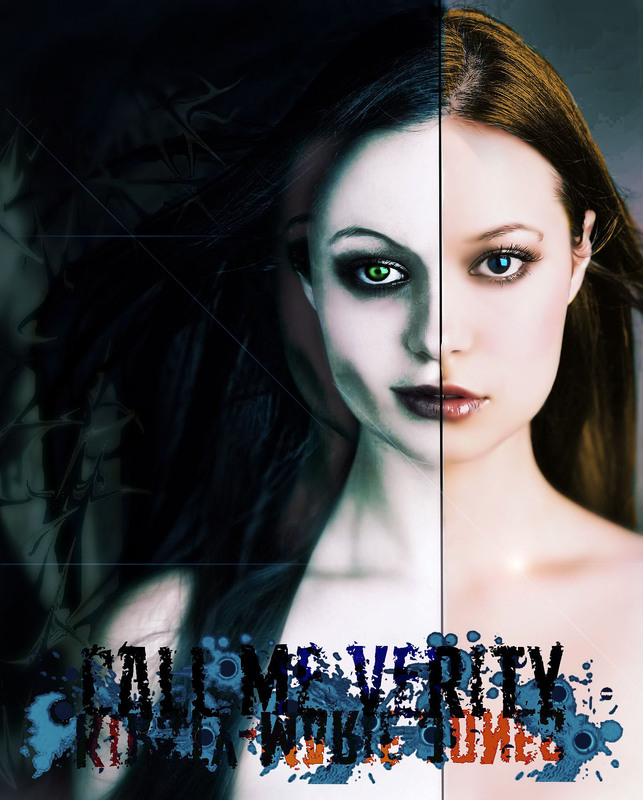 The new official cover for Call Me Verity- Coming 2013!